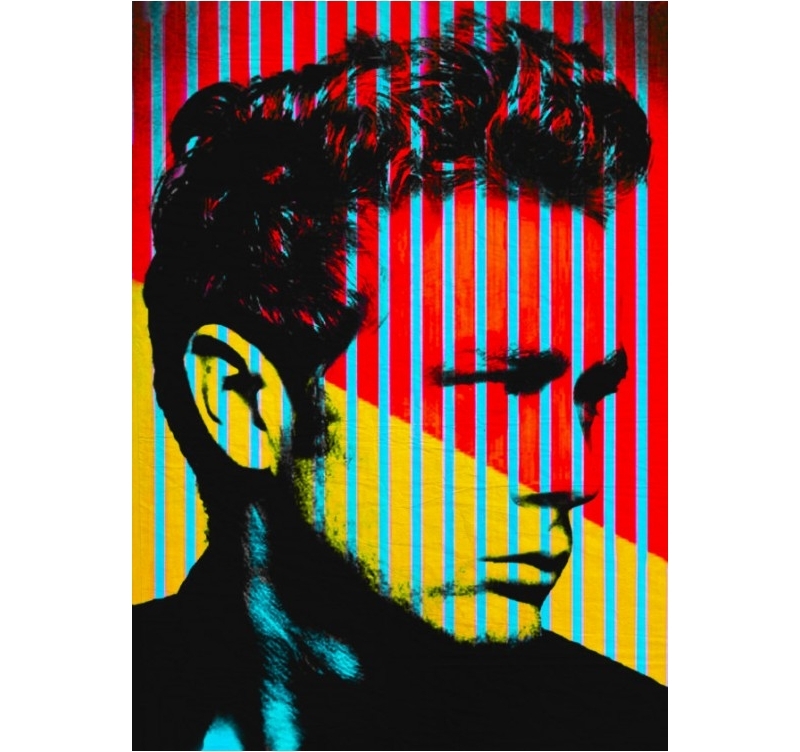 American actor James Dean in a unique metal poster ! The dimensions of this James Dean poster are 48 x 67.5 cm. 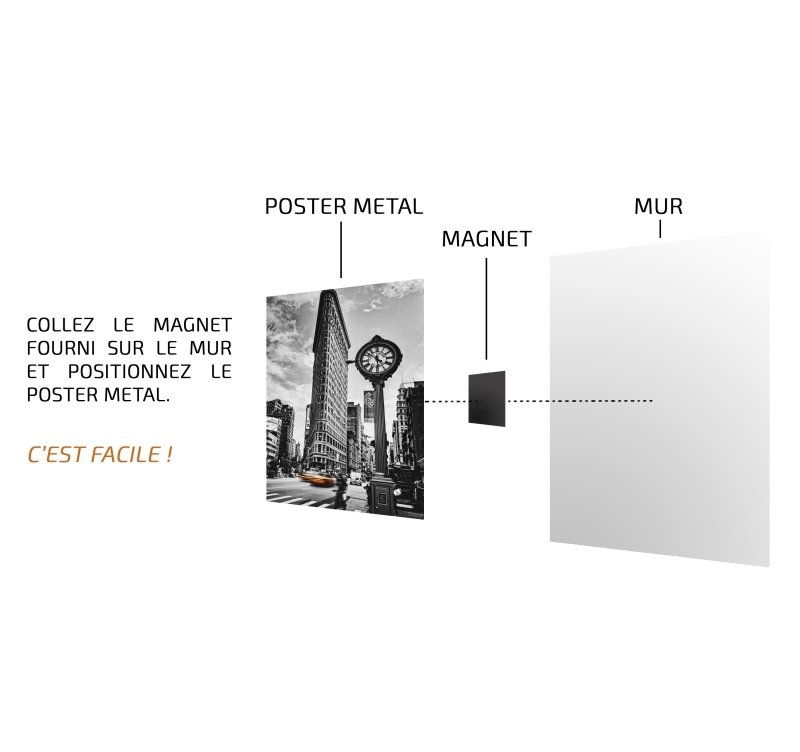 Free delivery in Metropolitan France and Belgium for this James Dean metal poster. The famous American actor and idol of young people, James Dean, comes in metal wall poster ! 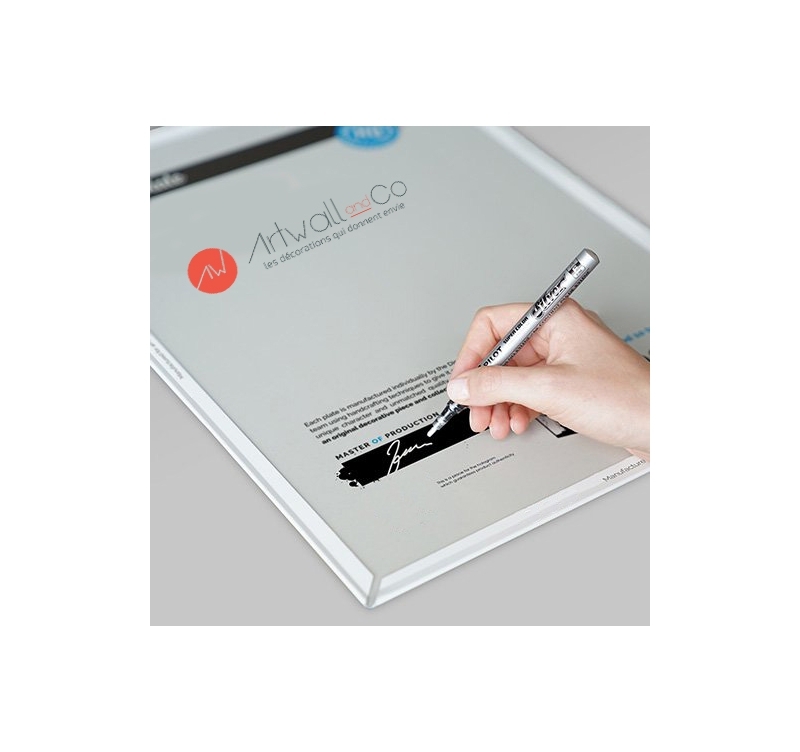 This portrait depicts the side icon with its dark and devastating look that is well transcribed on this metal poster. This colorful version with yellow and red stripes will perfectly suit modern and contemporary interiors to illuminate your walls in the most beautiful way. 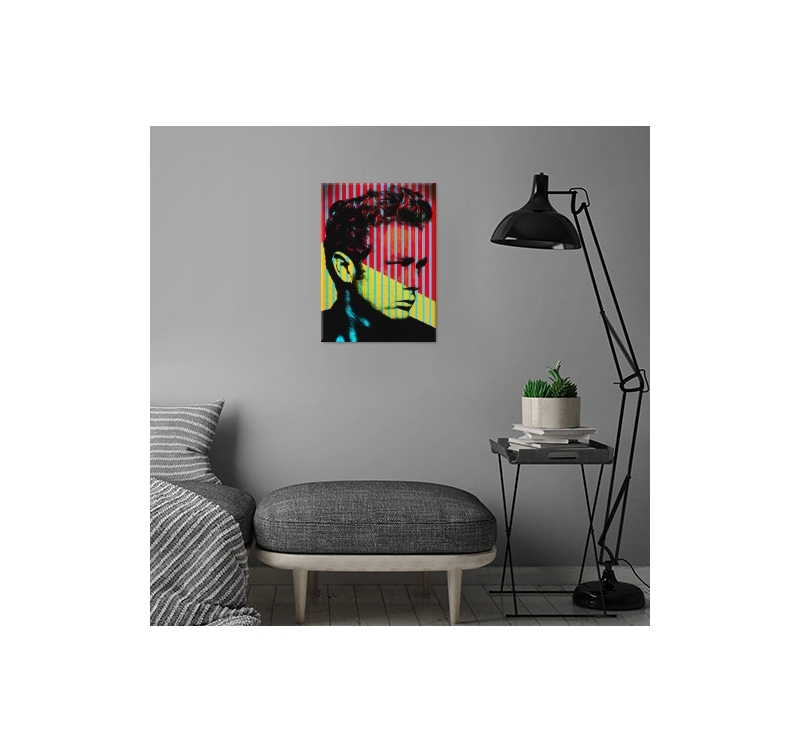 With a hologram on the back of the metal poster and the signature of our production manager, this James Dean collector's item will inevitably find its place in your interior decoration. Directed by our artist, this legendary film finds a second youth thanks to this collector's poster. 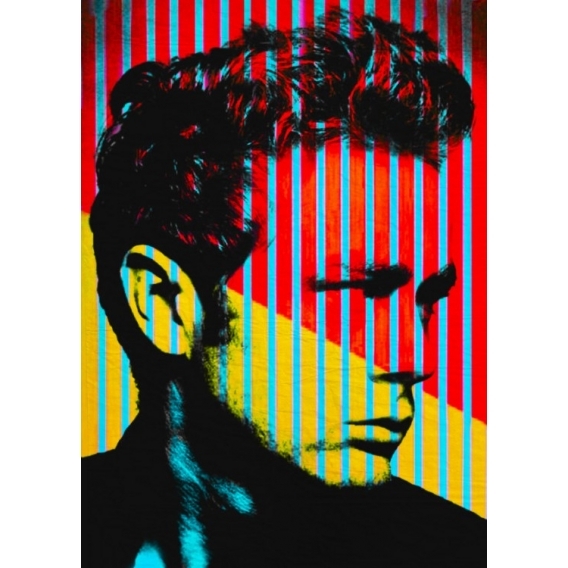 Any order for this James Dean metal poster allows you to support the artist who created it.